Within these pages you will find a complete photographic recreation of the Vietnam Veterans Memorial. You can explore high-quality images of the Wall or search a database for names and personal information. To start, just type a name into the "Find a name" feature at the bottom right of this page. For a more detailed search, click the "Find" button in the menu bar at the top of this page. No visit to the Wall should be without context. 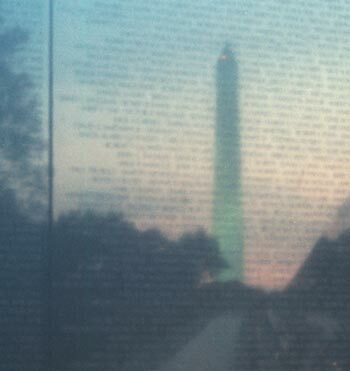 Under "Learn More" you will find information on both the Memorial and the Vietnam War.